—Ebony McKinney, on a recent Congratulations Pine Tree podcast episode. 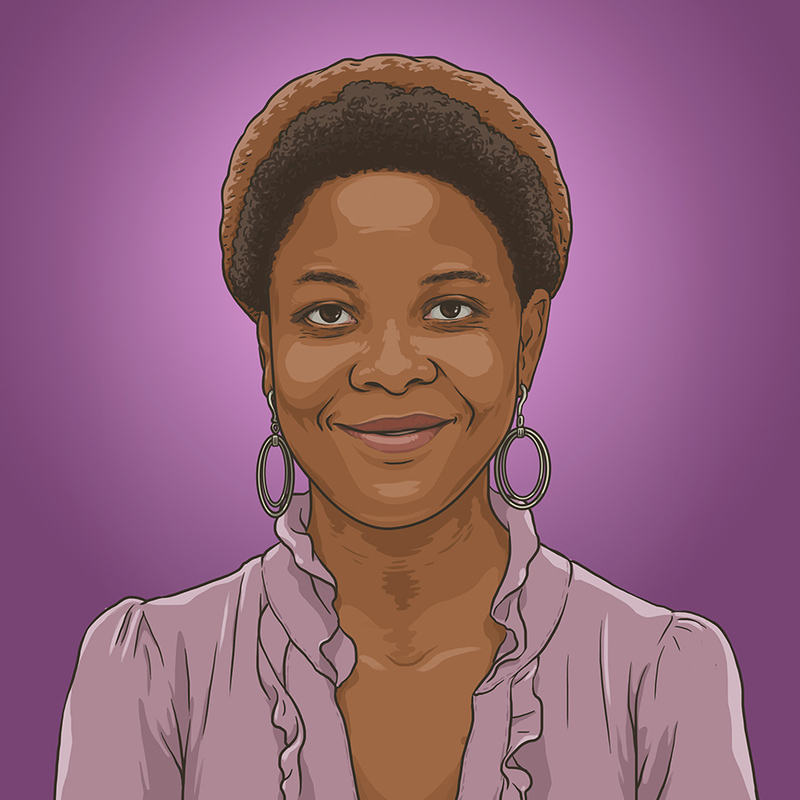 It took awhile to track down, but I finally got my hands on a clear enough reference image of the extraordinary Ms. Ebony Uhura McKinney that would allow me to make an illustrated portrait of her. Ebony passed away very suddenly in late July: I didn’t have adequate words when she passed, but I hoped that I could eventually make an image of her, instead. In any case, thank you again, for everything you did, in your far-too-short time with us here. The Against the Stream (2701 Folsom St) program starts promptly at 6:30pm with a meditation. People may remain at Against the Stream until 9pm. Red Poppy Art House (2698 Folsom St) will open its doors at 8 pm for people to gather and continue celebrating Ebony with music, dance and refreshments.